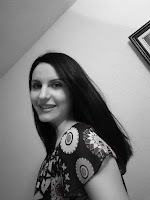 DANIJELA TRAJKOVIĆ holds an MA in English Language and Literature from the Faculty of Philosophy in Kosovska Mitrovica, Serbia. She is a short stories writer, poet, translator, reviewer. Published by literary magazines, newspapers and anthologies worldwide. Her first book „22 Wagons“ was published by Istok Academia, Knjaževac, Serbia, 2018.